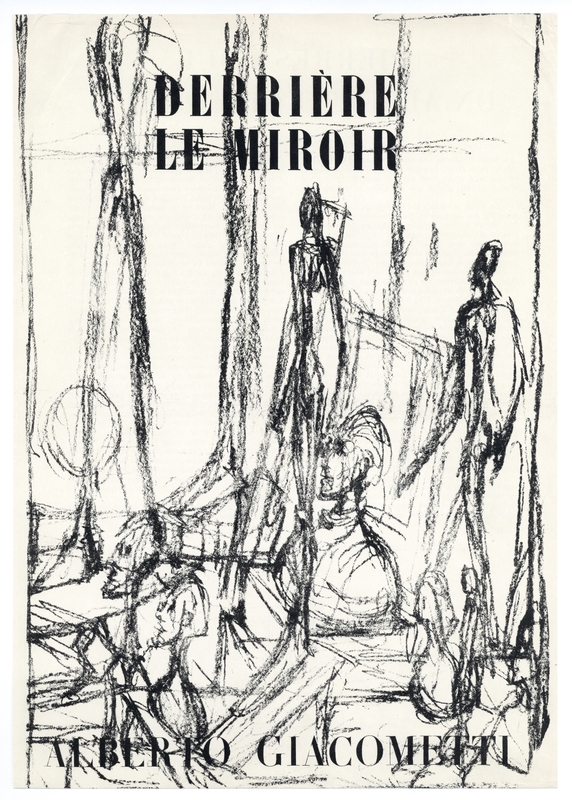 Alberto Giacometti original lithograph "Standing Statues in the Studio"
Medium: original lithograph. Catalogue reference: Lust 93. 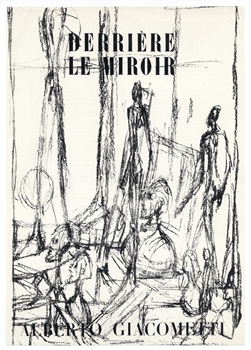 Printed for the front cover of Derriere le Miroir (issue number 39-40) and published in Paris in 1951 by Maeght. Sheet size: 14 3/4 x 10 1/4 inches (373 x 263 mm). There is text incorporated within the image and on the back side, as originally published. Not signed. Condition: the edges of the sheet have been trimmed, and there is wear and creasing, mostly around the edges.